1. Modified ride height compared to Sport Springs to maximize optimal suspension geometry. 2. Further increasing the spring rate to enhance overall performance. 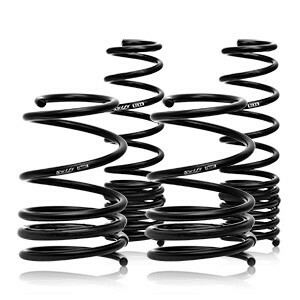 The increase in spring rate is based on the upper limits of the vehicles factory shock valving. 3. Maintaining optimal comfort level for street use.